You know something is popular when almost every week there is a new book coming out on the subject. There have been dozens of beer related books published over the past few months and it’s a real challenge to keep up with them all. From homebrewing to beer tasting, there’s a recently published book that covers it all and many times a lot of them are very similar. I’ve been in the process of reading through about a dozen books. Some I’m personally interested in, while others I skim through with less interest. I just finished these three and thought I’d pass on a few of my thoughts on them. I was anxiously awaiting the release of this book from one of the most award homebrewers ever. Strong’s previous book, Brewing Better Beer, is a must own for any serious brewer. It sits right along with John Palmers How To Brew. Modern Homebrew Recipes isn’t a how to brew book, nor is it a replacement for another homebrew library must have, Brewing Classic Styles by Jamil Zainasheff and John Palmer. It falls nicely in between these books and gives detailed recipes for a variety of styles along with pin point process notes. Strong doesn’t cover every style in this book. Instead he picks and chooses ones that he loves and ones that are interesting and thought provoking. Many of the recipes are ones that he has brewed dozens of times and has ones many medals for. The first chapter alone is all about IPAs. There are 12 different IPA recipes. Other chapters cover Dark Beers, Lagers, Belgian styles, Strong Ales, Everyday Beer (mostly American/British pub styles), Spiced Beers and Experimental Beers. What I loved about this book was the detailed explanation about his brewing process. Strong spends the first chapter laying out his equipment, batch sizes and thought process when brewing. Since every homebrewers process and equipment is different this is extremely helpful when trying to adapt a recipe to fit your stuff. Each recipe is followed by in depth notes about how the final beer should taste as well as formulation notes. For the advanced brewer there are some great tips and calculations in the appendices. This is the fourth book from Randy Mosher, one of the most respected beer writers in America. I own his previous three books (Tasting Beer, The Brewer’s Companion and Radical Brewing), all of which are fantastic reads. In Beer For All Seasons, Mosher takes a different approach the seemingly overwhelming trend to discuss and define beer styles, by breaking things up into seasonal drinking. There’s a little of everything in this book. Short history lessons, food pairings, book suggestions, events to attend and beer tourism. The first quarter of the book is filled with the history of beer, explanation of styles, the brewing process and how to taste and enjoy beer. For the seasoned craft beer drinker it’s all very repetitive. I find that every beer book published today devotes at least 20-30 pages to these same topics and basically they all say the same thing. It’s great for the person who knows little about beer, but with so many books being published these pages are skim material for many. The real meat of the book comes in chapters 3 – 6, the breakdown of each season. 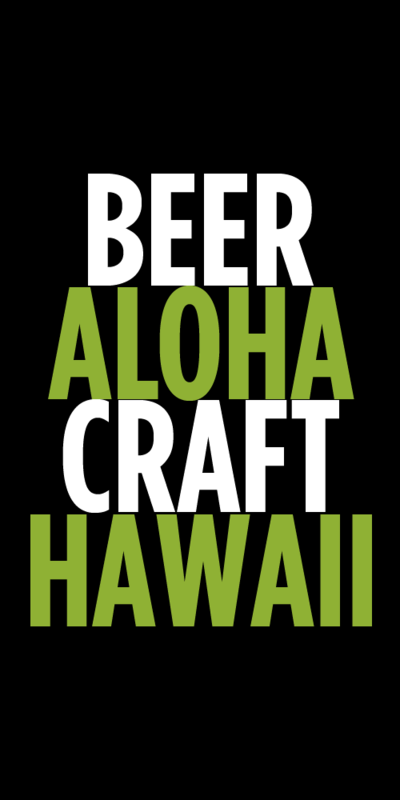 With each season, Mosher picks out a number of beers and beer styles that are perfect for the weather (well, not Hawaii’s weather) and gives great background on them. Bocks in the Spring time, Hefeweizen and lagers in the Summer, Fest beers in Autumn and big bold dark beers in Winter. Events and festivals are broken down by month and there are numerous food pairing suggestions for different beers. My personal favorite part of the book were the beer cocktail and drink recipes. I’ve never been a big mix beer drinker, but there are some interesting and delicious looking recipes that I’m planning on trying. The Calamansi Smash is tops on my list since sourcing the tart little citrus fruits is so easy here in Hawaii. At first glance I thought this was going to be another book regurgitating the history of beer, listing out every beer style and then telling me how I’m supposed to enjoy beer. Well, it basically is that type of book, but it’s done so well and is actually pretty fun to breeze through. Rouston, or The Beer Wench, is almost like a celebrity in the beer world. She dyes her hair a bunch of crazy colors, is super passionate about beer and has a very large social media following. I think she has more followers on Twitter than most breweries do! She also known for being blunt and straightforward, which is how this book is written. She gives her opinion and doesn’t seem to care what anyone else thinks, which is pretty refreshing. The book starts off with that oh so familiar chapter about beer history (I told you this is pretty much like a prerequisite for beer books now.) It’s short and does the job. Then comes a quick bite about beer styles. For any knowledgeable beer drinker, you’ll probably skim right past this. The next 80 pages are devoted to explaining beer styles, something dozens of authors have been doing, but Rouston does it a bit different and I think more effectively. Instead of randomly listing out beer styles, she groups them together into similar flavors. 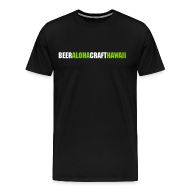 Light beers, hoppy beers, dark beers, sour and barrel aged beers, etc. She discusses each beer as if she were standing in front of you talking directly to you. It’s off the cuff and loaded with her own “two cents” instead of the standard boring descriptions we’ve seen so many times. For each style she also gives “drink instead of” suggestion which is clearly aimed at the newbie or novice beer drinker. Like rum and cokes, have a porter instead. Personal stories of her beer journey interject between beer styles and provide a nice personal touch. There is a whole chapter about “becoming an expert” which basically gives a crash course in the brewing process and how to properly taste and evaluate beer. There’s a nice run down of beer off flavors and brewing ingredients. It’s pretty much the same info you’ll find in a lot of other beer and brewing books and if you’re studying for the BJCP or Cicerone exam you may find it useful. The final third of the book is loaded with pretty good food recipes and a number of great looking beer cocktails. Rouston sourced a lot of recipes from well known breweries which adds a some nice diversity. Hoppy IPA BBQ Wings anyone? Or some Thai Infused Beer Steamed Mussels. Beautiful pictures throughout the book, which is a must in beer books today! Full disclosure – I received free copies of each of these books from the publishers.